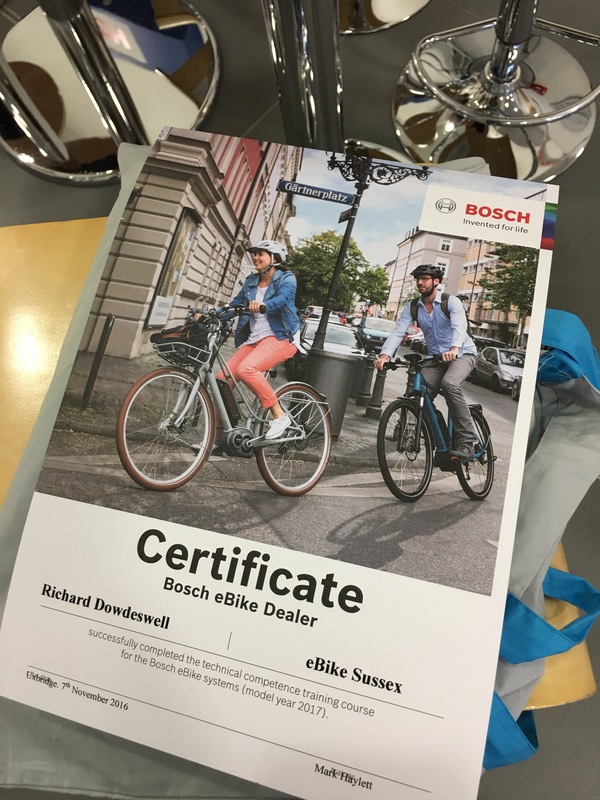 I have just completed the 2017 Bosch eBike certification at Bosch HQ Uxbridge. Lots of new products and developments now available! 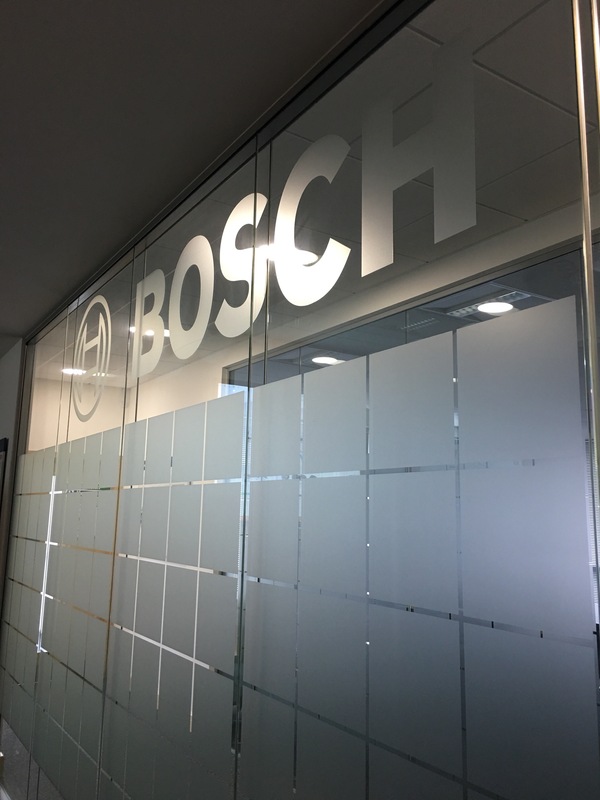 As the South’s first Bosch eBike experts we are here to help. Visit us 7 days a week at our Shoreham by sea, eBike Sussex store. New products include the Purion display now available as a hardware upgrade. Contact us for details (we hold this item in stock along with the Nyon and Intuvia systems for customers to have retrofitted if they wish). There are also some interesting battery cover plugs for when the batteries are removed. These will be stocked from January. One of the newest innovations from Bosch eBike systems is the ability to upgrade your bike to a dual battery system. So if you have a frame mounted battery you could buy an additional rack and cabling and secondary battery to be rack-fitted aftermarket. We will reprogram the bike to accept the dual battery capability. Total price is approximately £1,000 including fitting for a 500wh rack-fit battery, cabling, rack, reprogramming and a service on your eBike. This will give you a much longer range! Check out the Range Cockpit calculator on the Bosch eBike Connect website for more details on the increase you can expect. We stock a wide range of Bosch and a Magura replacement parts at our eBike Sussex electric bike shop and service centre in Shoreham. If we don’t have the items you are looking for we can order the parts in, usually on 48hour courier from Germany or from 2017 from the Magura/Bosch distribution centre in the U.K.
Training was a mix of theory and practice. It was a fantastic day and very informative. 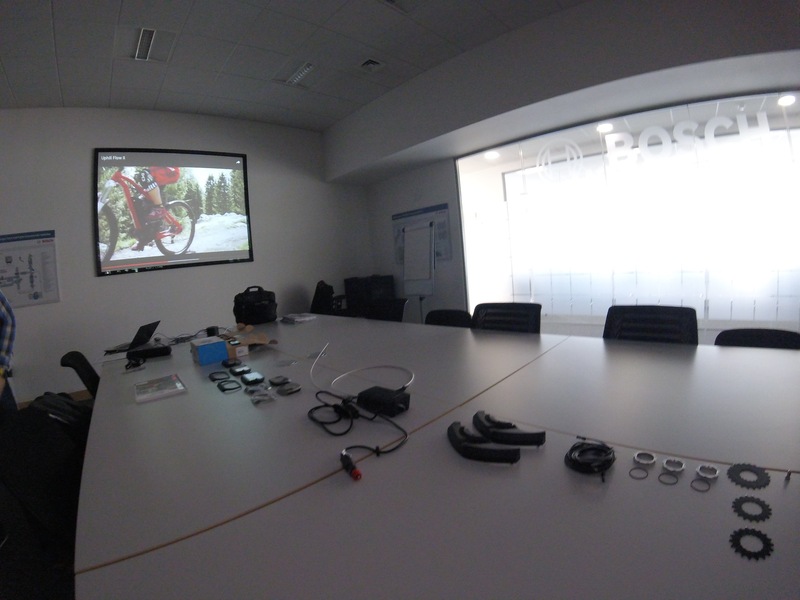 Mark Haylett of Bosch eBike systems U.K. led the training. 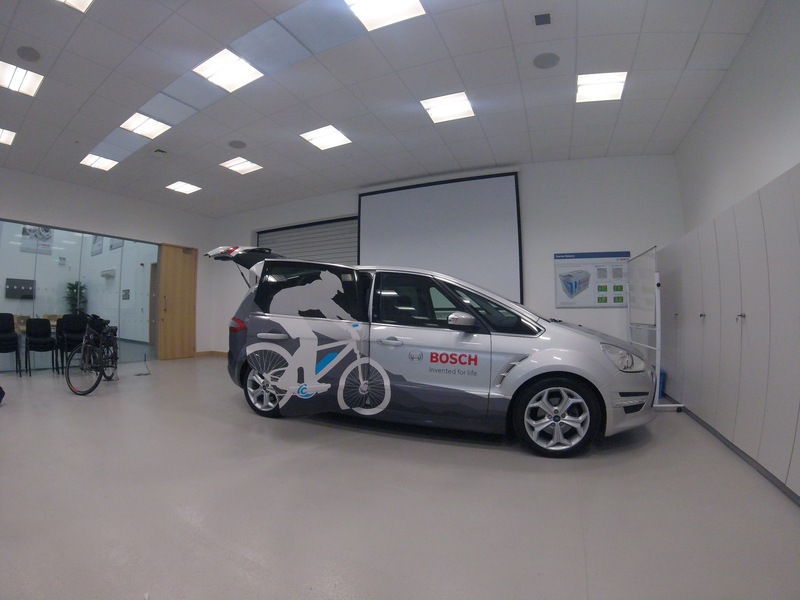 The Uxbridge Bosch eBike systems HQ is also a training ground for automotive servicing. There is a crossover in some ways as the diagnostics systems are similar on electric bikes. 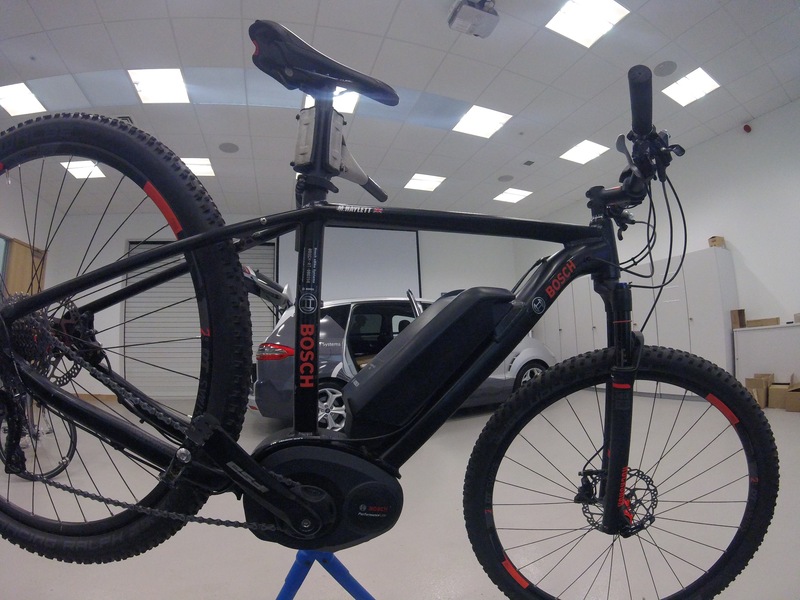 As Bosch eBike experts we are always up to date with the latest eBike Servicing Training. This means you are in safe hands with us and in the knowledge we will always deliver the latest information and product available to us. We are the South’s FIRST Bosch eBike Experts and are proud to demo, sell, service, repair and perform warranty work for Bosch eBike systems. 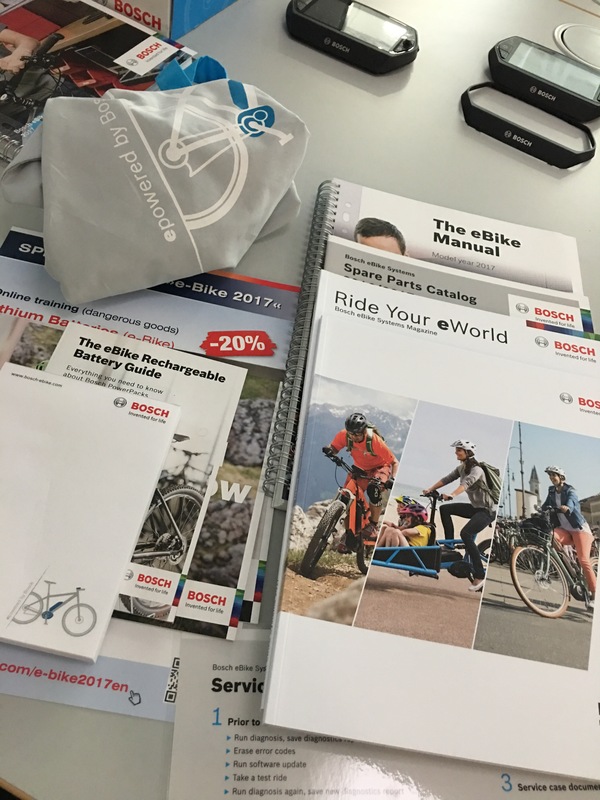 Contact us for details on how to maintain your Bosch eBike. We are open 7 days a week.